San Ramon based 16-year-old runner & entrepreneur Grace Lu has recently launched a local youth program to motivate kids towards physical fitness and a healthy promising life. Titled as “Shoes That Inspire”, the program is aimed to support low-income school kids with new athletic shoes that will enable them to participate in more physical activities, improve fitness, attend school more often with dignity and march ahead with more confidence. 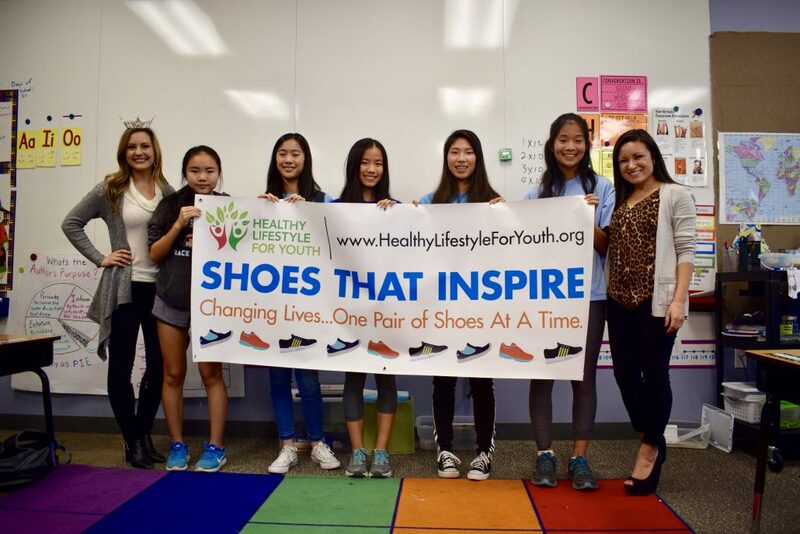 Shoes That Inspire is a part of Grace Lu’s non-profit organization Healthy Lifestyle For Youth. The program is being launched out of Grace’s deep passion for running. An ardent runner, Grace believes that every child deserves to wear new and comfortable shoes which would help them to feel self-assured and loved about themselves. High confidence would further inspire them to set ambitious goals and be successful in life. 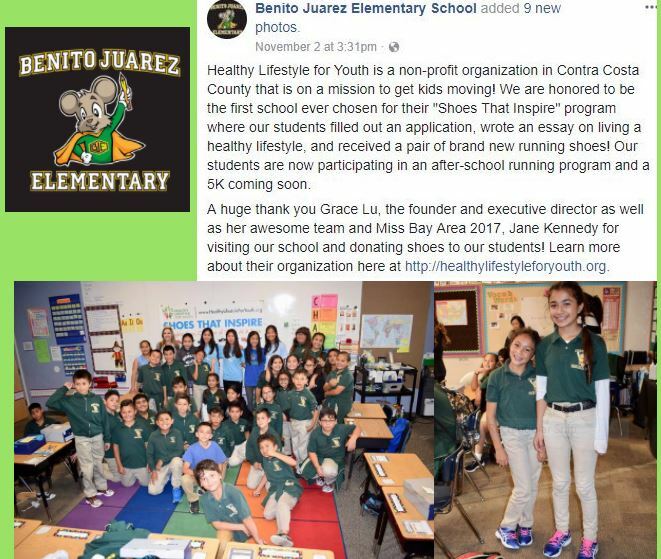 Grace’s promising program was initially started to help kids-in-need at California Richmond-based Benito Juarez Elementary. Students at the Richmond school are elated to receive new athletic shoes from Grace and her team. At present, the program is looking forward to help needy kids at schools all across the Bay area and beyond. “A new pair of athletic shoes is not just a shoe. In fact, it’s a change-maker that can create a huge difference in a child’s life and that too for better. Such ethos forms the very essence of our ‘Shoes That Inspire’ program. A good pair of shoes helps a child to feel cool and great about him/her. It encourages him/her to participate more in physical activities both in & out of school, enhances fitness and also improves the level of confidence in the child. A confident kid is never scared to set ambitious goals and work towards it which ultimately leads him/her to a successful life”, stated Grace Lu while talking about her program. This entry was posted in Favorite Runners and tagged charity runner, kids running, run, runner entrepreneur, running, Running Shoes, shoes that inspire, teen runner.